A colorfully historic city that’s home to the best chocolate shop around? We're in. 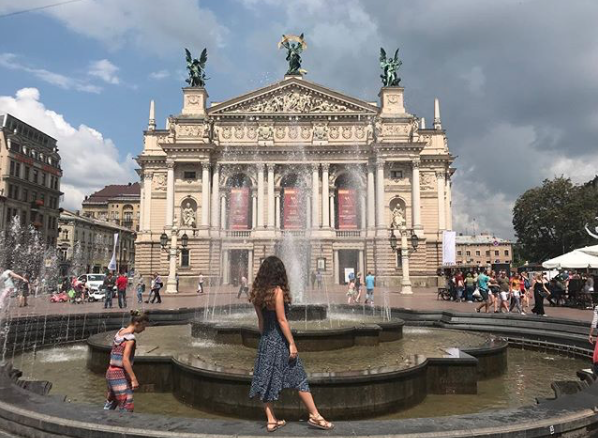 Lviv is a city proud of its history, home to some of our favorite sites to see in Ukraine ... and our favorite place to get dessert. If you’ll be volunteering in Ukraine, it’s a favorite travel destination that shouldn’t be missed, especially since you can have quite the adventure in just a weekend. 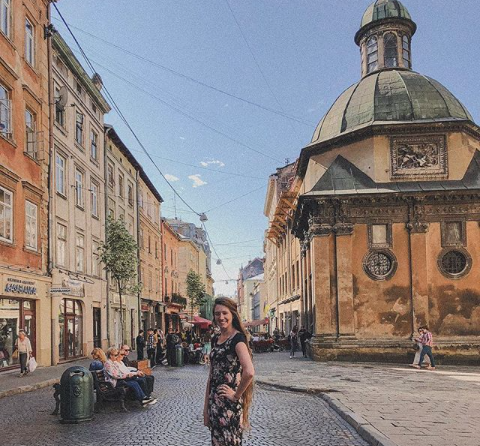 To make your trip even easier, we’ve outlined the info you need to know, plus we have crammed this guide full of tips to help make your Lviv vacation a total success. Lviv is west of Kiev, rather close to the border of Poland (hence all the Polish influence) and is easily reached via train. Lviv does have an airport, but we found that trains are a more memorable experience, plus are usually cheaper than a flight. You’ll find all sorts of trains that can get you to Lviv, leaving all hours of the day and night. Luxury liners can get you there in under four hours, but they are quite expensive. Our pick? Take an overnight train and arrive in 6 -10 hours instead. You’re likely to share a compartment with or next to some locals, who have been known to share snacks or join in on a card game on occasion. Our volunteers love this booking site — it’s very easy to use, is in English, and gives you very clear options when it comes to picking the train and the compartment for your route. You can book a sleeper ticket for around $20 (give or take a few dollars), which is a steal if you think about it — $20 gets you a way to Lviv, plus a place to sleep. Transportation and accommodation in one. We love it. On this site, the “L” is for luxury compartments and the “C” is for a 2-person compartment, and then you can book S1 or S2, which are first and second class seating. The city is pretty walkable in most spots, but you can also get around via trams or city bus (or yellow mini buses called marshurytkas) If you see a bus approaching, just hold your arm out to board. Then then tell the driver where you’d like the get off. The drive will pull over on the nearest stop. Tickets are 5 UAH for buses, and 3 for trolleys or trams — you can get tickets from the little news kiosks or from the driver yourself. If you have a lot of luggage, you’ll need a get a separate ticket for your luggage. When you board and get your ticket make sure you punch your ticket in the little metal punching machine: your ticket may be checked and you’ll want to make sure it’s punched to prove you've paid for it. If you’ll be in Lviv for 3 days it might be worth it to get a transportation pass which is 50 UAH instead of buying a separate ticket each time. Buy here. We highly suggest using Google Maps to help you get around. A lot of things in Lviv can be difficult to locate on your own, but are on Google Maps. If you don’t have data you can download the offline map and mark all the places you want to visit while you still have wifi, then you’ll be able to find where you want to go, data free. All of these places, buildings, restaurants (etc), in blog this post pop up on Google Maps. You can also call a cab: Rides usually cost around $3-5 USD, and you can use an app like Uber (called Uklon) to call your group a car. There are card and cash options to pay your driver. 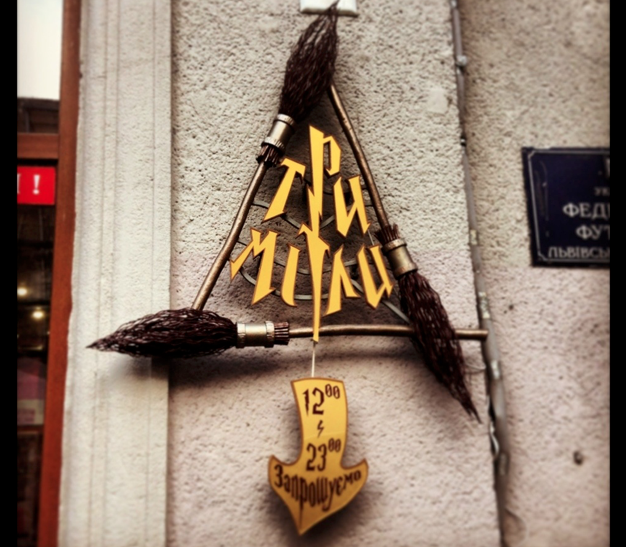 There is a lot to do in Lviv. Easily a dozen stunning churches, a well-known Opera house, a smattering of museums, and endless streets to explore. This is by no means a comprehensive list, it’s just the highlights for what our volunteers typically have time to see during their visit. Plan on spending a fair bit of time here. Rynok Street is one of the biggest attractions in the area. It’s the central square of Lviv and is framed with picturesque buildings, ranging from Gothic to Renaissance style. This place has been titled as an UNESCO World Heritage site, which is a pretty big deal. We’ll pull out a few of our favorite places to see, just know that this sprawling market square is a cool place to hang out, look at monuments, photograph palaces and private homes, and catch a couple of street performers if you’re there in the evening. Oh, and is the spot to go shopping. — Black House (#4 on the East Side): one of the most famous around, and will be hard to miss. While its neighbors are creamy pinks, blues and oranges, this striking charcoal home is impressive. — Gutterer House, also called Pharmacy under the Golden Deer (Number 18., on the South side): Rococo style and here since 1533: it used to be the called the prettiest house in the block ... but we still think it could hold that title. — Scholz-Wolf House (#23 on the Western side). A pretty example of the Renaissance style, this house was built way back in built in 1570. — Lubomirski Palace (#10 Rynok Square) has an expensive history, one we encourage you to read about, but one of the most striking events that happened here was when Yaroslave Stetsko proclaimed the independence of Ukraine, just a handful of days after Nazi Germany had invited the Soviet Union. Rynok has a smattering of outdoor markets in the warmer months (though some still persist despite the cold in the fall and winter!). Go to the Art market (near the Market Square at Lesi Ukrayinky) where you can purchase traditional embroidery, costumes, paintings, collectable pins and tins, as well as antique books. If you’d rather, you can shop at the Vernisazh Souvenir Market by the Opera House (pictured below, the market is in front of the Zankovetsky Theather) to buy traditional crafts — this is your spot for traditional and unique Ukrainian souvenirs. Krakivsky Market is a Soviet-style rynok which could be interesting for those fascinated with Russia’s influence in this country. There is also a very cool book market around here that comes recommended by a couple of ILP Ukraine volunteers. If you’re looking for a space crammed full of churches, look no further than Old Town. You’ll find ornate and colorful domes, tall spires peeking above the apartment and storefronts, and pockets of neighborhoods home to people from all over the world. 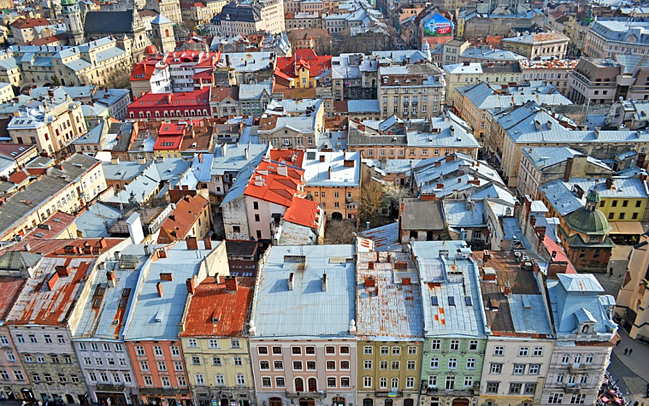 Another UNESCO site, Lviv’s Old Town was awarded this prestigious title because the area combines Eastern European architecture with styles you’ll see in Germany and Italy. If you want a place where you can see all of Lviv spilling out below you, this is the place for you! The trek up to this park can be a bit treacherous in the winter time (thank you, ice and snow) but it’s still doable if you’re careful and are wearing boots with good tread. No matter the weather, it is well-worth it. Once you climb 300+ old stairs, you’ll see observational platforms and old castle ruins at the park itself, but the real eye-catcher are the amazing views of the Lviv. Go to Zamkova Street and you’ll see a narrow path and then some stairs to get you up to the park itself. This website has a handy guide to what buildings you can see from the top. Popular around Europe, there’s a free walking tour led by local guides who will walk you around their city and explain the history. The tour meets daily in from of the Amphitrite fountain on Rynok (next to the Beer Theater Pravda) at 10:30 AM. There are several kinds of tours, some highlighting culture, other architecture, and insider spots, so you may want to go more than once depending on what you’d like to see. Note: While the tour is free, most of the guides are volunteers so it’s nice to leave a bit of a tip if you really enjoyed the tour. This building used to be the home of King Jan III Sobieski and gives visitors a good glimpse into all of Ukraine’s history, in a nutshell. Scattered between various exhibits you’ll spot things like a lock of Napoleon’s hair, an Italian style courtyard, old currency, newspapers, and musical intrusments from decades ago, and of course, and a walk through of how King Jan III Sobieski lived. As with most museums in Ukraine, you’ll pay for a ticket for each exhibition you’d like to see, or a combined ticket that gets you into a combination of rooms. Cost: Depends on which rooms you’d like to enter, but no ticket is more than 10 UAH. See a list of rooms and prices here. One of the oldest museums in the city, the Pharmacy museum is full of curiosities provided by former pharmacists and enthusiastic collectors. You’ll find a room that replicates what an old style Ukrainian pharmacy looked like, shelves full of dusty bottles containing dark colored liquids and objects and tools that used to punch out pills back in the day. It’s an oddly captivating little museum. Cost: Free to enter, but a small fee if you’d like a tour (5 UAH). We could write a bit of mini description about each of these churches … but we’ll spare you from reading about how each one of these cathedrals and churches are stunning, towering buildings that you’ll need to see during your time in Lviv. A few of these are right around Old Town, which is convenient. Pick your favorites, or go on a cathedral tour during your Lviv vacation, just don’t leave without seeing your fair share. A big must-eat at place, the House of Legends sports a unique atmosphere the leaves quite the impression on nearly everyone who visits. It’s a multi-leveled cafe, with some tables hidden up in front of huge glass windows that overlook the alley, or nestled together between walls tacked with old maps, books and photographs. Oh, and the food is lovely, too. Warm soups, classic meat and potatoes and open faced sandwiches. Come eat some local Ukrainian food for lunch or dinner at this place. We love their small but authentic menu because it gives you a taste of the culture here. Try out some traditional soups, stewed meats, classic Ukrainian salads and more. Can you guess from the name this you’ll be eating Israeli food at this restaurant? Platters of creamy hummus, crunchy falafel wraps, and Shakshuka — the spicy tomato-and-egg brunch item I can't get enough of. Yum! Hours: 10:30 AM to 10:00 PM (Opens at 11:00 AM on weekends). A unique restaurant with a cool old vibe, Gas Lamp pays a bit of an homage to the man who invented the kerosene lamp, but we love the huge open windows the great view almost as much as the food. Meat and cheese plates along with roasted potatoes and cutlets, these meals are tasty and filling. If you are a big Harry Potter fan, you will NOT want to miss this. This restaurant (also know as the Three Brooms restaurant) has a slight Harry Potter theme. Step into the real life version of your favorite book and enjoy your time at Hogwarts! The entrance is hidden to "Muggles", so be sure to be on the look out for it. The food is good and the prices are low at this breakfast cafe. Known for its rich coffee, this place is also serving breakfast sandwiches, fresh-made yogurt and bowls of warm oatmeal for a couple dollars each (USD). Breakfast is served all day too, which we’re big fans of. Desserts are also served if you want something sweet. Hours: 7:45 AM - 11:00 PM, daily. In the mood for a late night snack or an awesome breakfast? Head here. Lviv Coffee Manufacture is one our volunteers love eating at, and a few thousand other agree, according to the reviews on Google. Order breakfast pastries, rich hot chocolate, fragrant coffees and lattes and more. Note - This place is cash only! 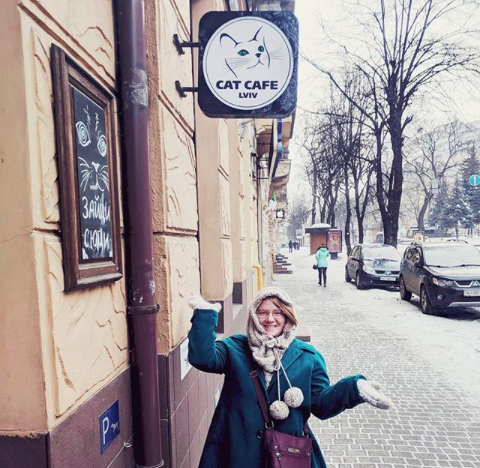 Hang out with cats (yes actual cats) and munch on some rich desserts (like pavlova and chocolate cake) and yummy drinks, if you love cats, you’ll get a kick out of this cafe. This isn’t a cafe from the sitcom Friends, it’s just called Friends Cafe (but you can visit a Friends Cafe in Kiev, if you want to lunch at “Central Perk"). Anyways, this place has very helpful staff, a cozy atomosphere, and yummmmmy food like gooey paninis, and English style breakfast, Ukrainian pancakes with sour cream and fresh fruit and more. You can visit the one in Kiev, the but place where it al started is for sure worth a visit. 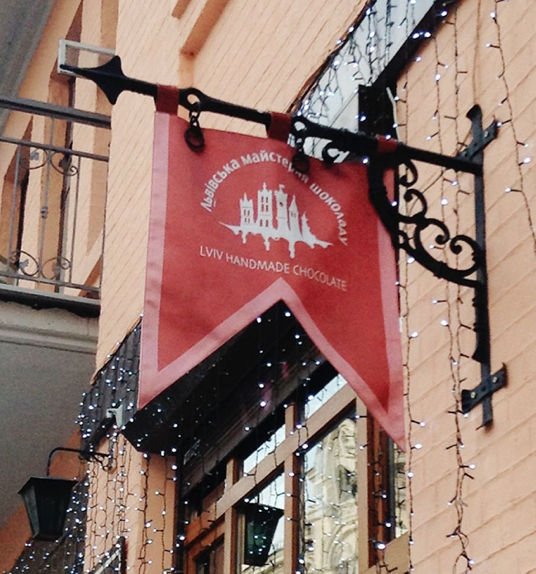 The Lviv Chocolate factory is a cafe where you can get scrumptious handmade chocolates, sip a cup of hot chocolate which is actually a cup of melted chocolate, and settle into decadent cakes. We. Love. This. Place. Get more info and pictures here. There are more than a few places to stay in Lviv but we have had some volunteers opt to do an AirBnB instead of staying at a hostel so make sure you explore your options if you go that route. We have also heard good things about the Hotel Orange — it is a bit off the main path but it’s inexpensive while still being pretty nice. Look for a bright orange building about a mile outside of the city center, but that iconic color makes it hard to miss. Get the difference between an AirBnb and a hostel (and tips for booking both) from that link. There is a ton to do in this city, but you can definitely get the highlights in a weekend trip, especially if you are taking a night train. That allows you to wake up in Lviv Saturday morning and have all day Saturday and all day Sunday to explore before catching another night train back to Kiev. Make sure to take cash with you to Lviv. Sometimes the ATMS aren’t really working, so be sure to pack up cash for your trip (and some smaller bills for paying taxis and trams). As always with traveling, packing snacks is helpful for in-between meals when your hiking to viewpoints or strolling Old Town, and pack up toilet paper and hand sanitizer, too. Not all restrooms in Europe will be like the ones you’re used to. 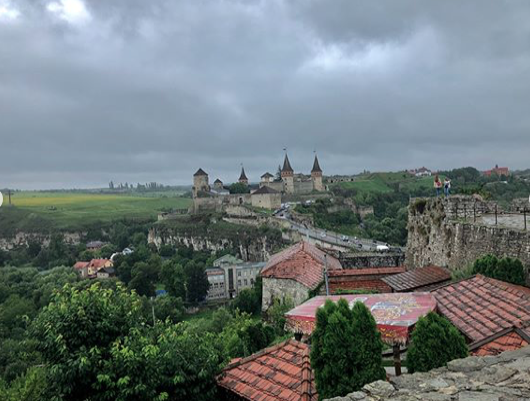 If you’ll be around Lviv longer than a weekend, consider hopping over to this ancient castle, Kamianets-Podilskyi which is actually one of Ukraine’s seven wonders. It’s been taken over by Turks, Russians and even spent a short stint as a mosque. Here’s more info for your trip over there. I know you're dying to see and do all of these places yourself right? Good thing we can help with the "getting to Ukraine in the first place" part of your adventure. ILP volunteers get the chance to teach English in Ukraine part time, then use weekends and vacation days to travel around their country and tons of others (like France, Italy, Greece, Spain, Sweden, Poland, Norway, Iceland and more).